Grieving mum Rose runs race in memory of little daughter | News by Wales Express News, People Before Profit! Grieving mum from Wrexham is in training to run a half marathon in memory of the young daughter she lost to cancer. Grieving mum Rose Hamlet, 37, from Wrexham is in training to run a half marathon in memory of the young daughter Rebekah, left she lost to cancer. her twin Laurent is on the right. Rose Hamlet, 37, will be doing the Chester Half Marathon in May to raise money for the Hope House children’s hospice – and she’ll be joined by some of her best mates. Among those taking part in the 13.1 mile race with her will be family friend Owen Ward, who is the cosmetics supervisor at the Debenhams department store at the town’s Eagles Meadow shopping centre. Hope House is the store’s chosen charity and they have already organised a number of fund-raising events for the hospice. The organisation has two hospices, Hope House near Oswestry and Tŷ Gobaith in the Conwy Valley. The charity supports hundreds of families from across North and Mid Wales, Cheshire and Shropshire, providing specialist nursing care and support to life-limited children, young people and young adults. Six year old daughter Rebekah died in Rose’s arms at the Alder Hey Children’s Hospital in Liverpool 12 years ago after suffering from a rare form of childhood cancer known as neuroblastoma. Around 90 children in the UK are diagnosed with the condition each year. Rebekah who was diagnosed when she was four-years-old, underwent brain surgery, radio therapy and chemotherapy. Mother-of-four Rose has nothing but praise for Hope House after the hospice helped her through the toughest of times. It provided respite care when she had two other children to look after, including Rebekah’s twin sister Lauren, and was heavily pregnant. Since her daughter’s death, Rose has supported Hope House in any way she can as a thank you for the support she received throughout Rebekah’s illness. She said: “I absolutely love Hope House. Everyone there was just so wonderful. It was obviously a difficult time. But the service at Hope House was always absolutely free and everyone was fully trained. 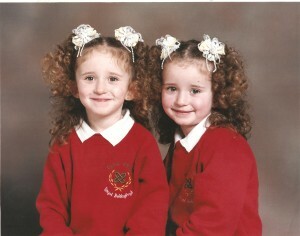 Rose, who works as a housekeeper at the Ramada Hotel, Wrexham, added: “It was hard as Rebekah was an identical twin. Her sister, Lauren, is now 18 and working as a nursery nurse. However, running is something new for Rose and she admits she is finding training difficult even though she has only just started as she prepares for the long distance event. She said: “I started running a few weeks ago and, if I’m being honest, I’m finding it quite tough. It’s something I have never done before. “At least I won’t be alone as Owen, my partner’s best mate, and two work colleagues from the Ramada Hotel, Xanthe Clarke and Kiri Pryde. Owen Ward, a veteran marathon runner, was only too pleased to run with Rose, especially as Hope House was the store’s nominated charity. He said: “I don’t think you could support a better charity to be quite honest.